Η BMW γιορτάζει 15 χρόνια “ζωής” της X οικογένειας μοντέλων της. Η πρώτη φορά που χρησιμοποιήθηκε το γράμμα X σε ονομασία μοντέλου της Γερμανικής εταιρίας, ήταν στα μέσα της δεκαετίας του ’80 για να υποδηλώσει την ύπαρξη τετρακίνησης. Η οικογένεια όμως, ξεκίνησε πριν από 15 χρόνια με την X5 – το πρώτο μοντέλο της κατηγορίας της (Sports Activity Vehicle). Έκτοτε, η οικογένεια έχει μεγαλώσει και αποτελείται από 5 μοντέλα. Η X5 είναι ήδη στην τρίτη γενιά της ενώ η X6 και η X3 στην δεύτερη. Τέλος, οι “βενιαμίν”, X1 και X4. Όμως υπάρχουν πλάνα και για περαιτέρω διεύρυνση αφού όπως μας λέει η BMW, η X7, το μεγαλύτερο και πολυτελέστερο μέλος της X οικογένειας, είναι ήδη υπό εξέλιξη. Η αύξηση των μελών της οικογένειας άλλωστε, είναι μονόδρομος – αυτή τη στιγμή, οι πωλήσεις των X μοντέλων αντιστοιχούν στο 1/3 των συνολικών πωλήσεων της φίρμας ενώ από το 1999 μέχρι σήμερα, έχουν πωληθεί περίπου 3.3 εκατομμύρια X οχήματα. Δεν γίνεται να αγνοήσεις τις επιταγές της αγοράς. It all started with an X. This letter was first used as a model designation for a BMW automobile as early as in the mid-1980s to indicate that it featured four-wheel drive technology. The car’s dual symmetry was the ideal allegory for the transmission of drive torque to all four wheels. 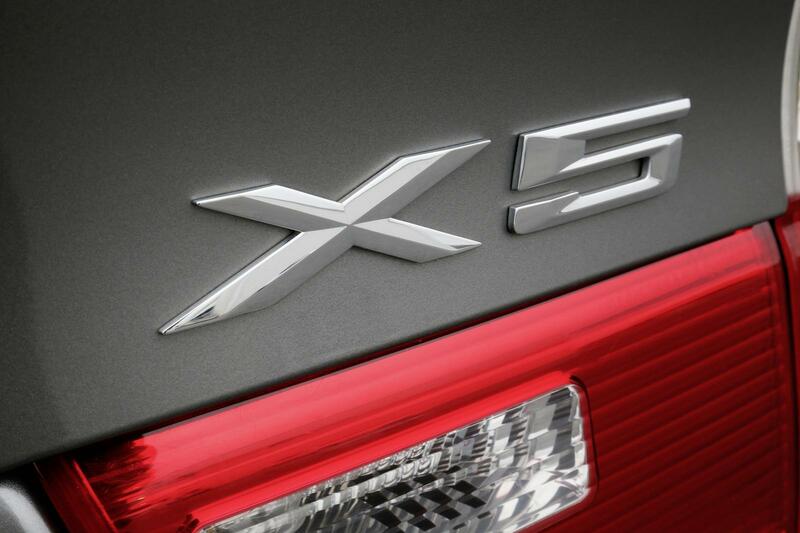 15 years ago, the letter X became the symbol of an entirely new vehicle category and, at the same time, of a very special form of driving pleasure. The BMW X5 made its debut as the world’s first Sports Activity Vehicle, soon going on to conquer not only the road but also off-road terrain, whilst attracting additional target groups to the BMW brand. Once again the German premium automobile manufacturer had demonstrated its extraordinary sense for innovative and future-oriented vehicle concepts. The introduction of the BMW X5 in 1999 laid the foundation stone for the unique success story of BMW X models on automotive markets all over the world. 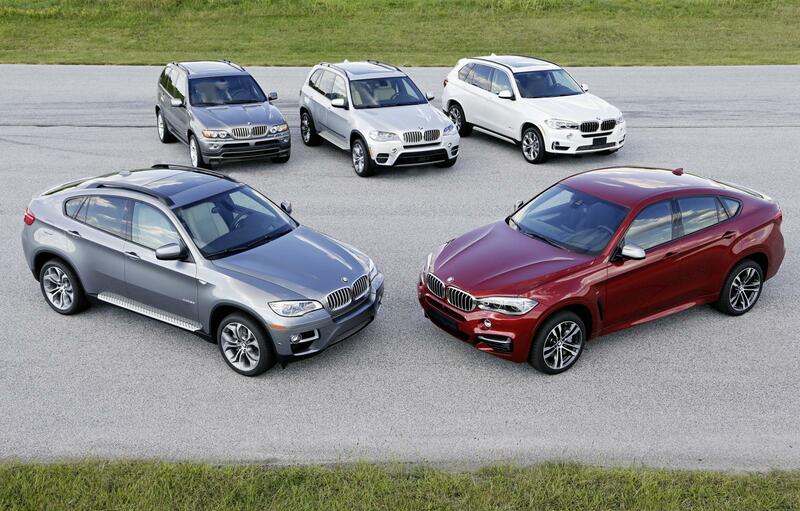 15 years further on, a complete BMW X family has developed from the pioneer of a new vehicle category. 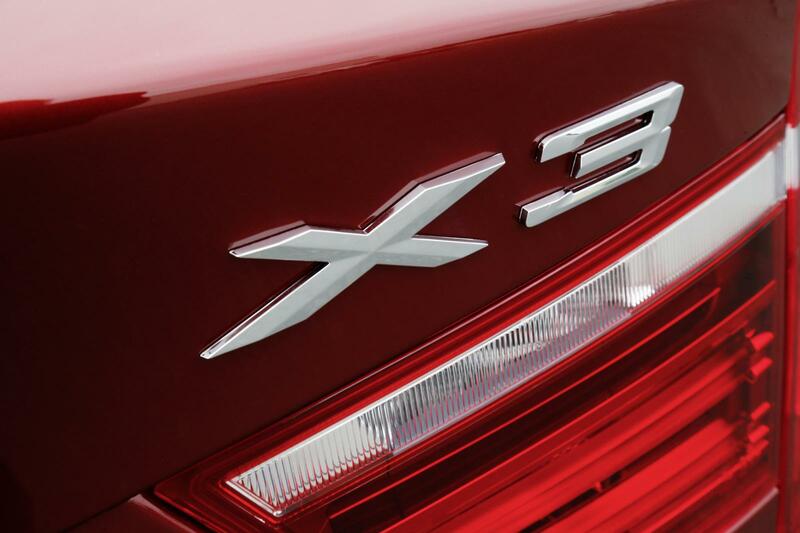 The brand’s range now comprises five BMW X models. 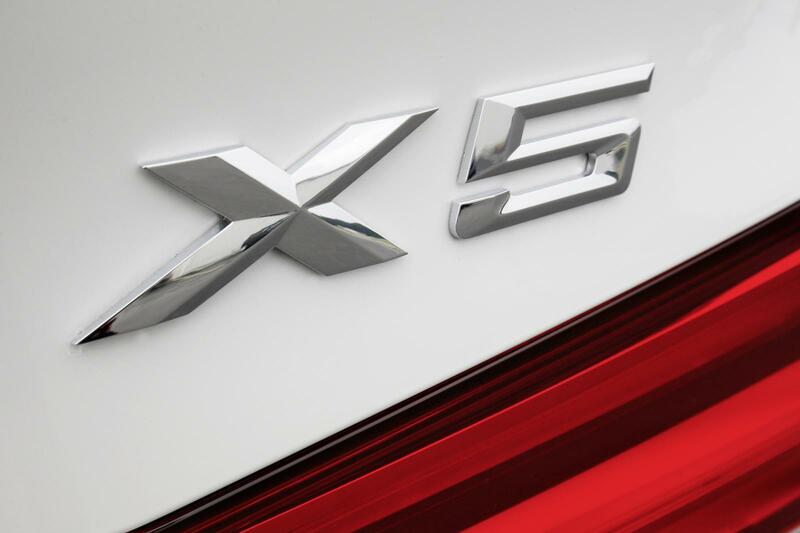 These are complemented by the two four-wheel drive high-performance sports cars of the BMW M GmbH, the BMW X5 M and the BMW X6 M. The BMW X5 is already the third generation of its kind to continue the story of success. 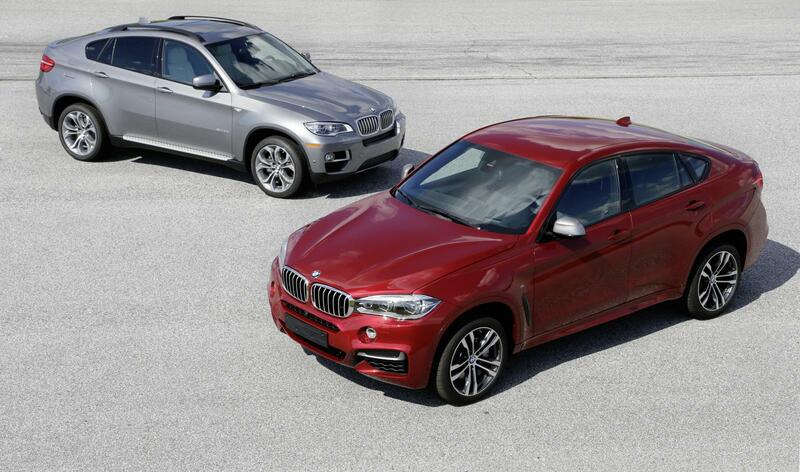 The second generation of the Sports Activity Coupe BMW X6 and the BMW X3 are now being produced. 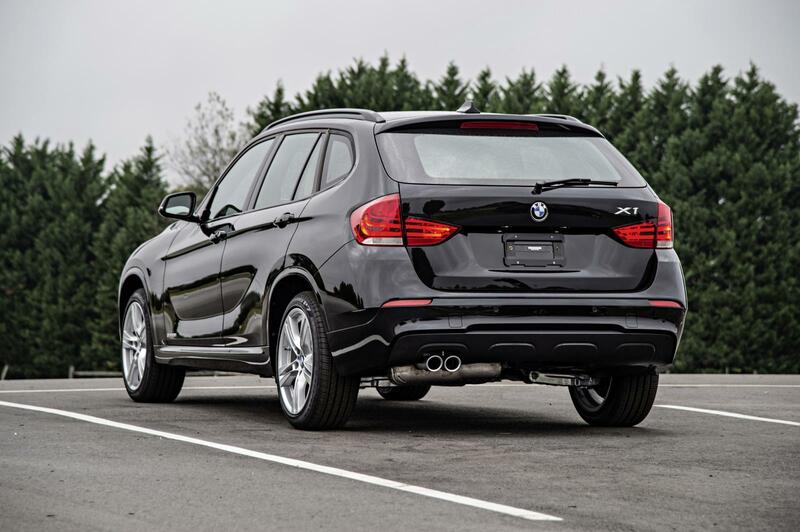 The BMW X1 offers a guarantee of multi-faceted driving pleasure in the compact segment. And the BMW X4, a Sports Activity Coupe, now also combines superior dynamism with sporting elegance in the mid-range segment. Each of these models was the first premium vehicle of its kind within its competitive environment. And the range will continue to expand also in the years ahead. 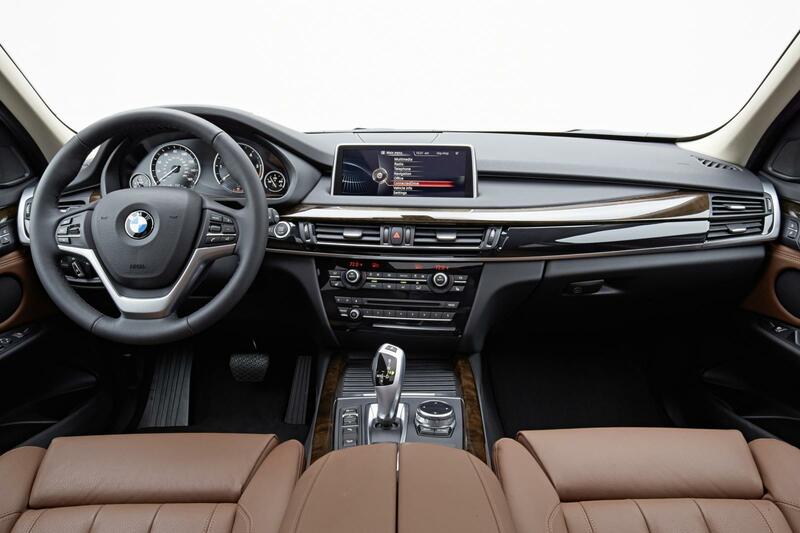 The BMW X7, an exceptionally large and luxurious model, is under development. 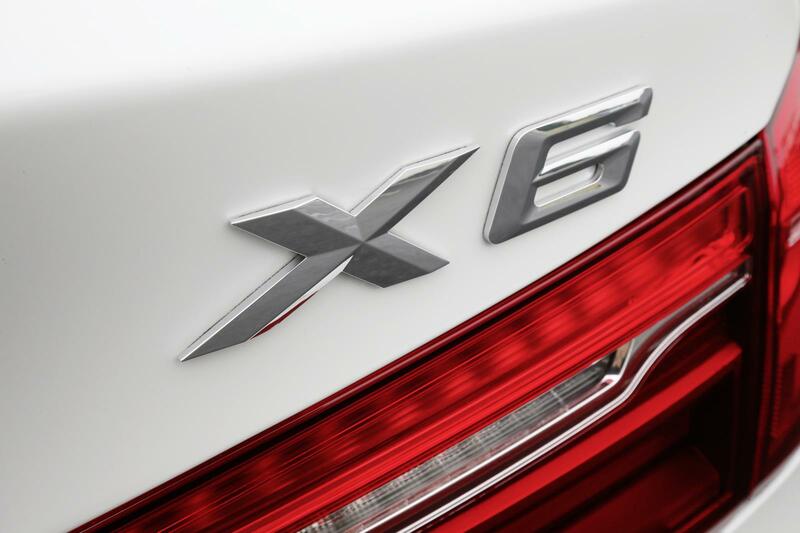 The popularity of BMW X models, which contributed decisively towards BMW becoming one of the world’s most successful producer of premium four-wheel drive automobiles, continues to increase consistently. 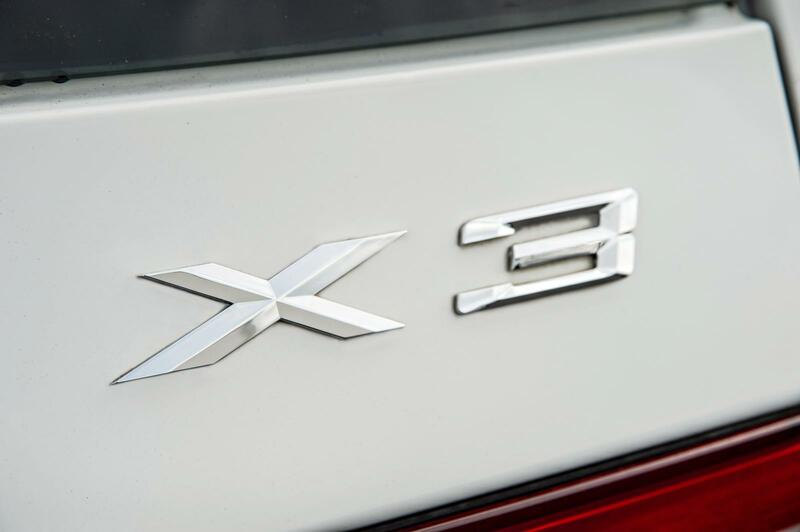 To this day, more than 3.3 million BMW X models have been sold worldwide. 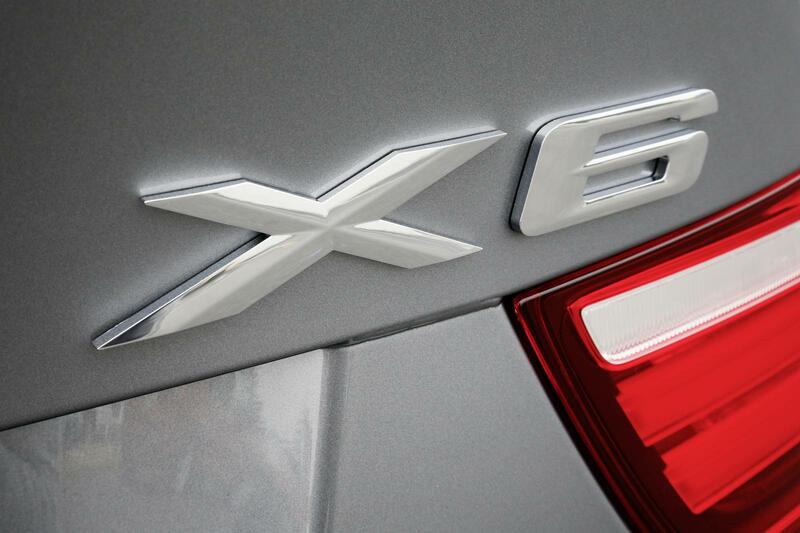 Almost every third newly registered vehicle of the brand is now a BMW X model. Uncompromising driving pleasure – also in four-wheel drive models. 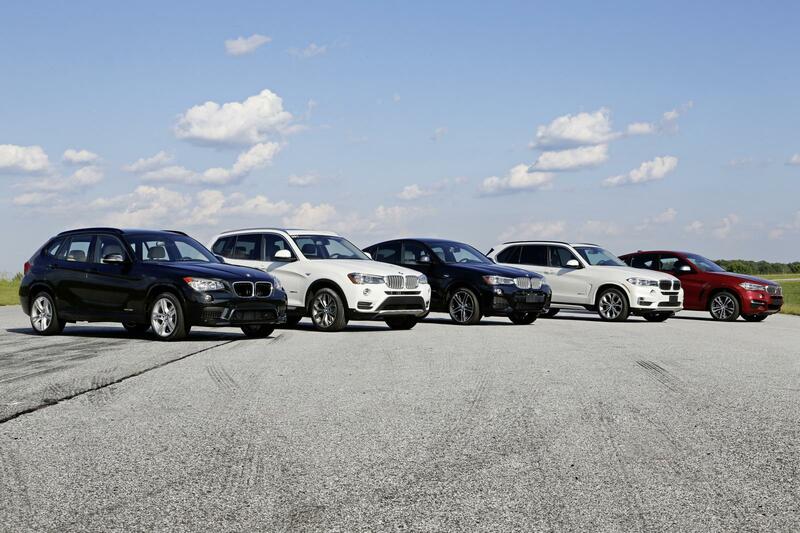 The BMW X5 made an impressive start with a driving experience that was unique to models of the brand. It was characterised above all by the high seating position and excellent handling both on the road and on off-road terrain. This was supplemented by the exceptionally spacious, variably utilisable and luxuriously equipped interior. From the very start, the unique position of the BMW X5 within the competitive environment of off-road vehicles was a result of its unparalleled driving dynamics. 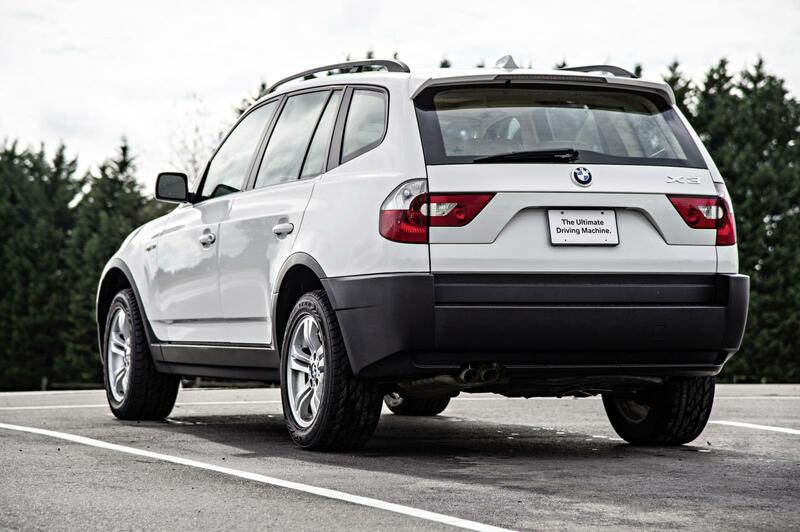 As opposed to conventional off-roaders, the BMW X5 featured a self-supporting safety body shell and independent suspension. The four-wheel drive system distributed drive torque to the front and rear wheels at a ratio of 38 : 62 percent. Thanks to the standard vehicle stability control feature DSC (Dynamic Stability Control), ADB-X (Automatic Differential Brake) and downhill control HDC (Hill Descent Control), the BMW X5 was equipped not only for sporty motoring, but also for the challenges of driving on off-road terrain. From the beginning, power transmission to all four wheels was deployed by BMW not merely to optimise traction on unpaved roads and in adverse weather conditions, but also to enhance driving dynamics when taking bends. Therefore, in the case of the current models equipped with the intelligent four-wheel drive feature xDrive, and in contrast to other manufacturers who use four-wheel drive predominantly to compensate for traction losses experienced on front-wheel drive vehicles, BMW consistently adheres to the typical characteristics of the rear-wheel drive concept. In this way, even in normal driving situations most of the torque is transferred to where it is optimally transformed into vehicle dynamics – the rear wheels. 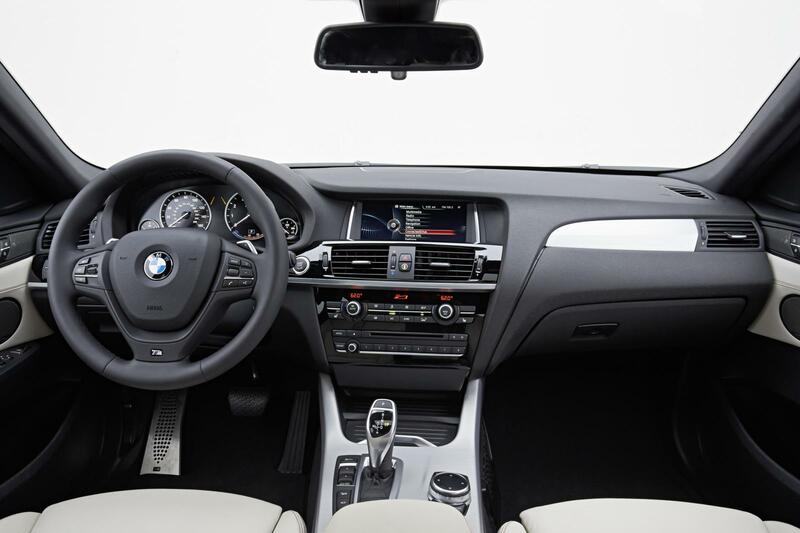 As a result, the steering precision that is characteristic of a BMW also remains virtually free from drivetrain influences on four-wheel drive models. Moreover, when cornering at higher speeds, steering response is optimised through a targeted increase in torque delivered to the rear wheels. 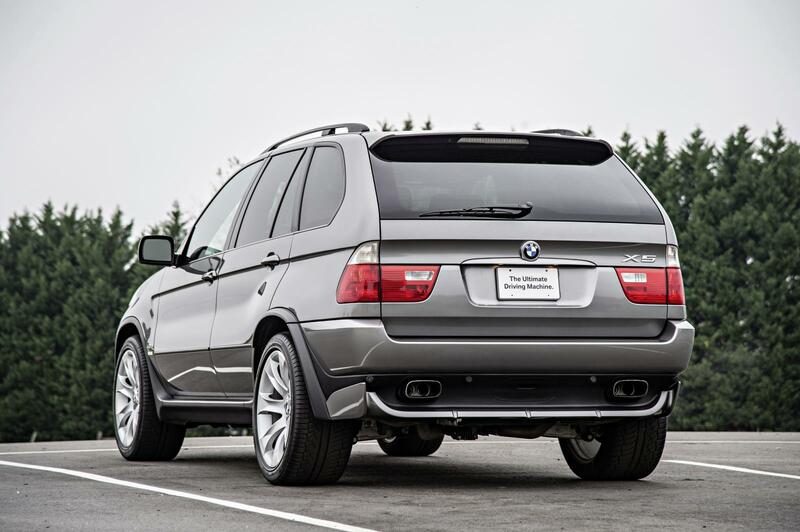 The innovative combination of traction, dynamics and comfort that characterised the first-generation BMW X5 was in overwhelming demand above all in the USA, but also in Europe and other markets. 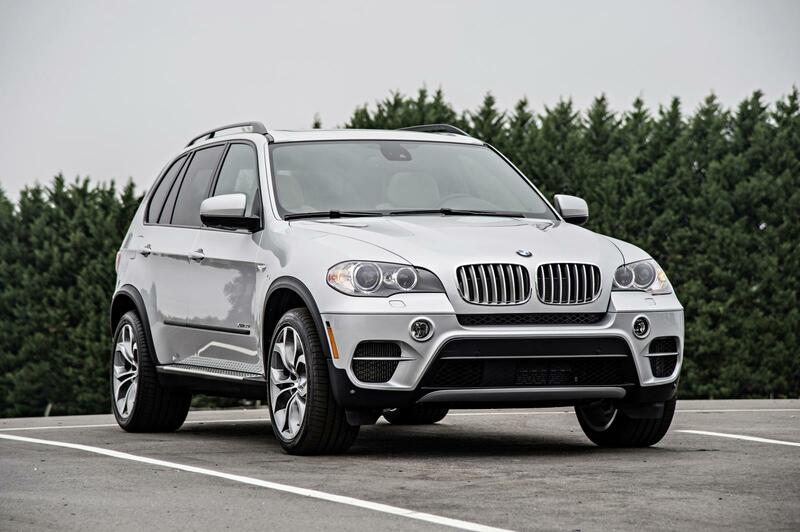 By the middle of 2005, the 500,000th BMW X5 had rolled off the assembly line, with a total of almost 620,000 units of the first Sports Activity Vehicle being built at the BMW Spartanburg plant. 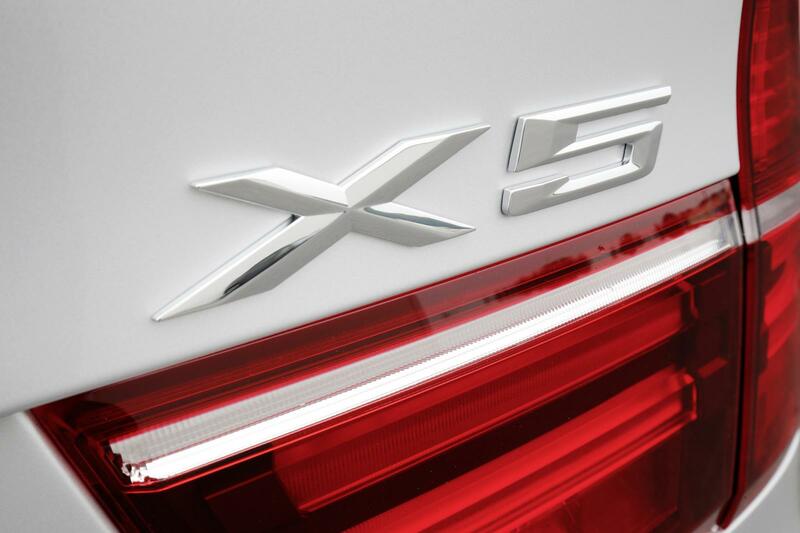 Today, the production location in the US Federal State of South Carolina is the competence centre for BMW X models. 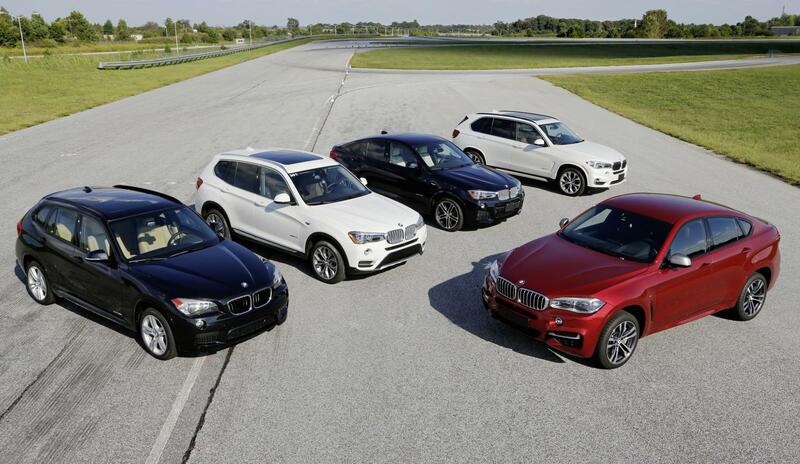 The current model generations of the BMW X5, the BMW X6 and the BMW X3 as well as the BMW X4 are produced there. Also, the BMW X5 M and the BMW X6 M are “born in the USA”. 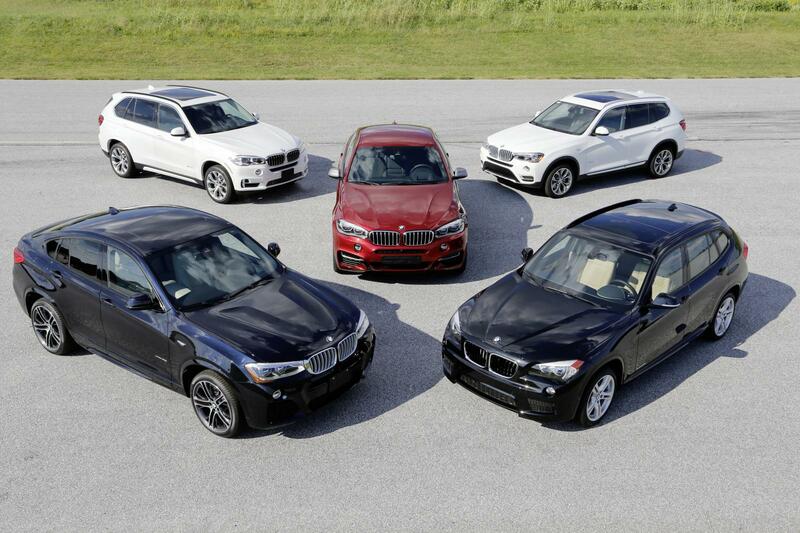 Proven concept, new segment and premiere of BMW xDrive: The BMW X3. With the transfer of the SAV concept to a further vehicle segment in 2004, BMW became a pioneer yet again. 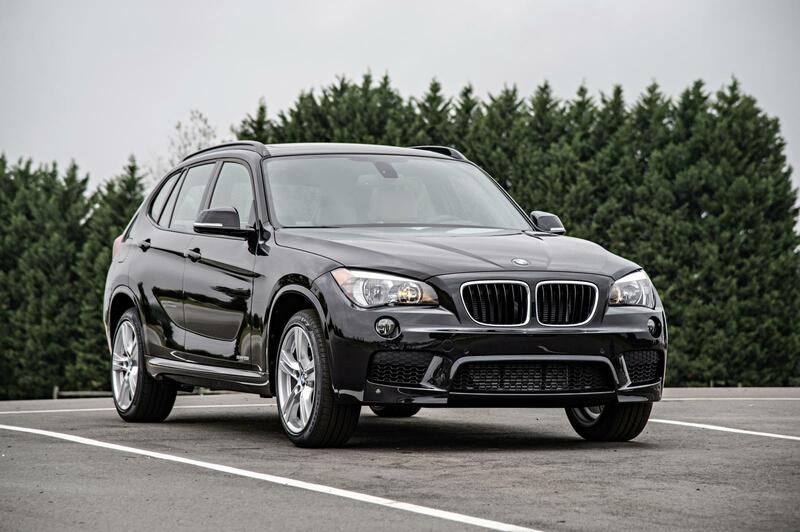 With its more compact dimensions versus the BMW X5 and its even more agile handling characteristics, the BMW X3 proved to be an absolute exception and remained the only premium vehicle in its class for many years. 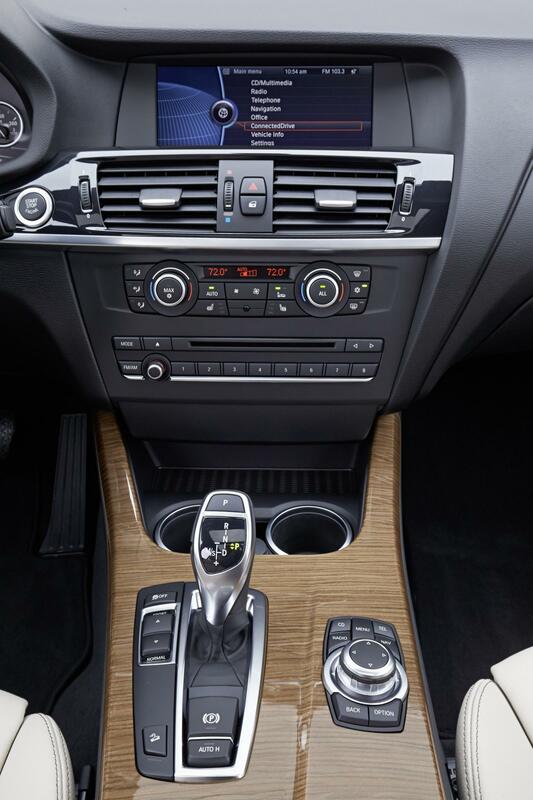 Furthermore, the BMW X3 featured a new kind of permanent power transmission to all four wheels – intelligent BMW xDrive. 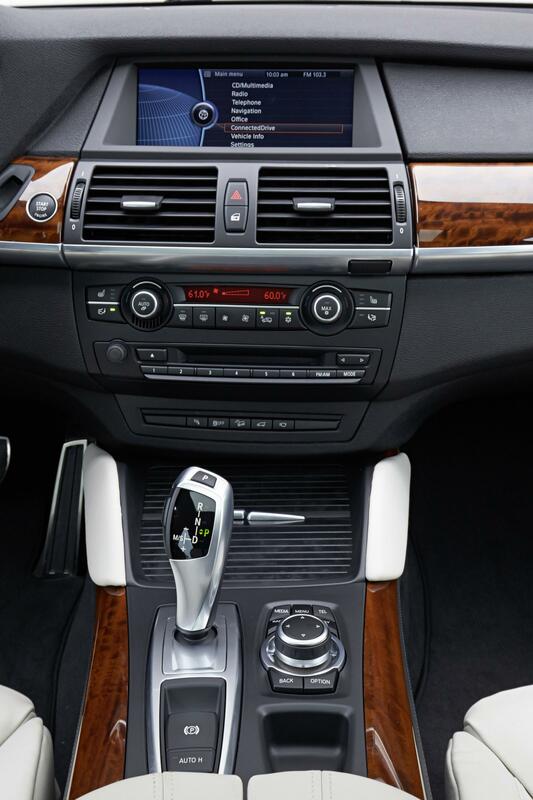 With its extremely fast responding, electronically controlled multiple disk clutch inside the transfer case and thanks to being interlinked with the vehicle stability control system DSC, the new system, which was simultaneously introduced on the BMW X5, offered unbeatably favourable prerequisites for variable, on-demand power transmission. 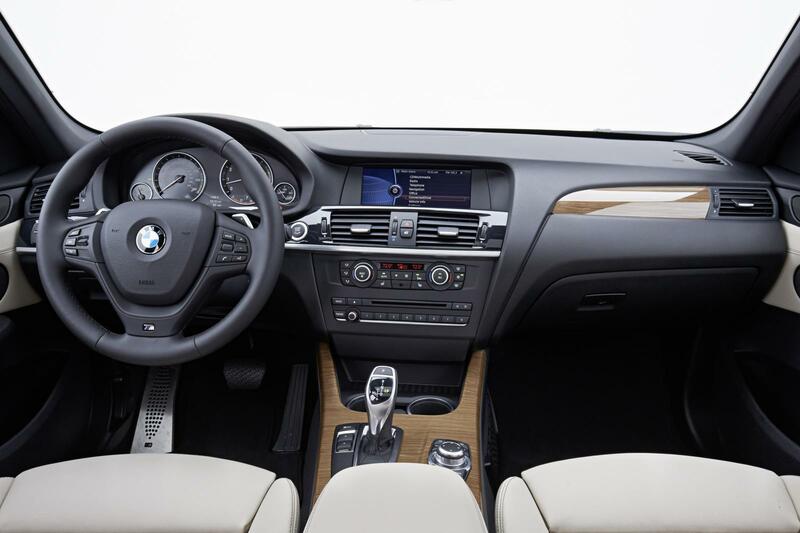 Characteristic driving pleasure, premium quality and, in addition, outstanding efficiency bestowed the BMW X3 with great popularity and numerous accolades. These included best ratings in the “Customer Satisfaction Index” (CSI) published by the J.D. Power market research institute and in the breakdown statistics of the Allgemeiner Deutscher Automobilclub (ADAC). Twice in succession, the BMW X3 was winner of the title “Four-wheel car of the year” and “Off-road vehicle of the year” in the readers’ poll conducted by the magazines “Auto Bild Allrad” and “Off Road” respectively. 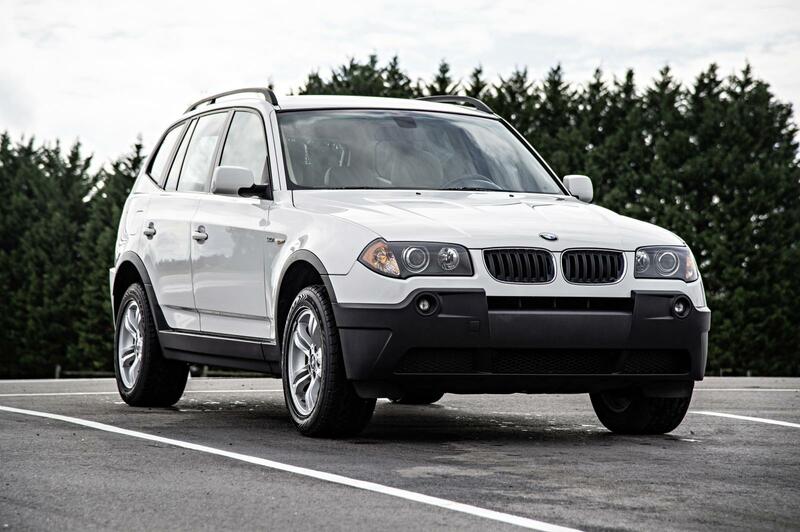 The first-generation BMW X3 was sold more than 600,000 times worldwide before being replaced by its successor in 2010. 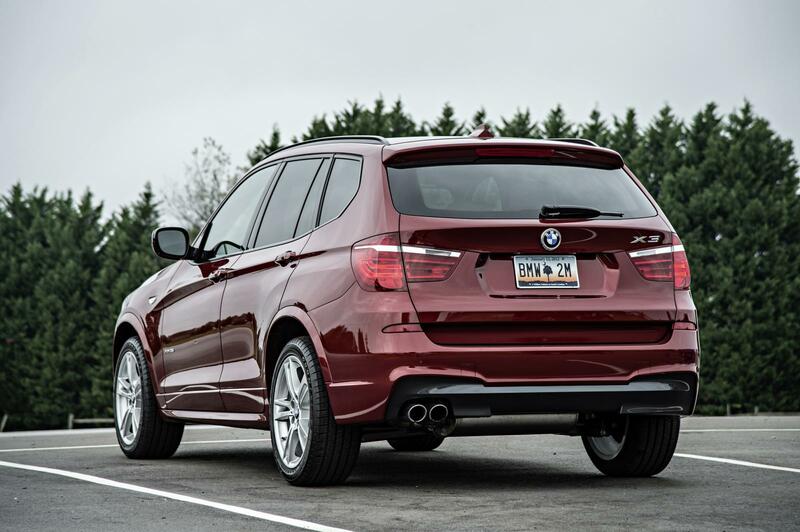 Confidently continuing its predecessor’s success story: The second generation of the BMW X5. 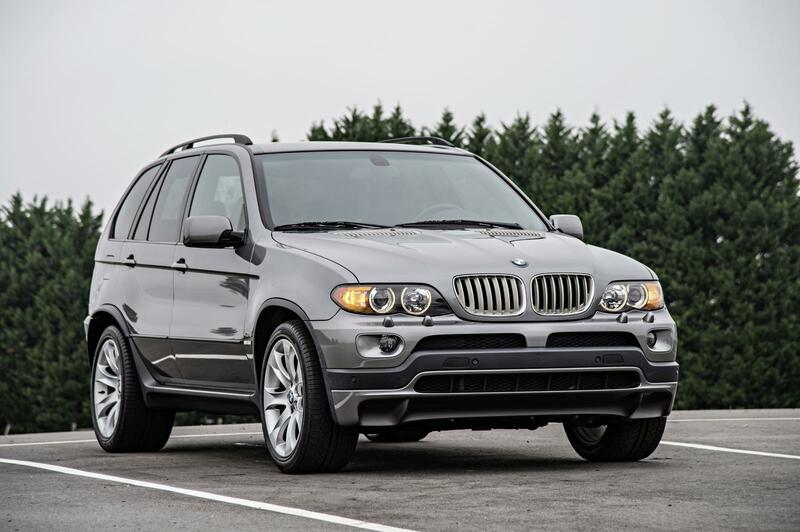 In 2006, production of the second-generation BMW X5 began at the BMW Spartanburg plant. 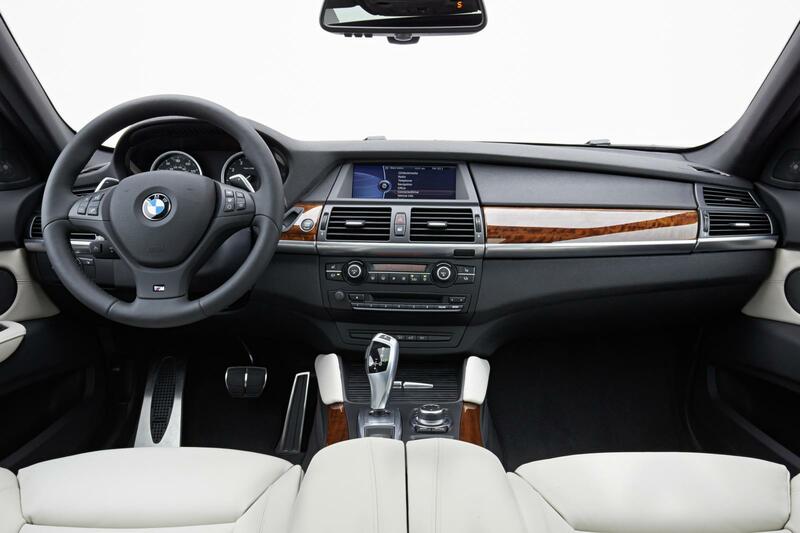 With enhanced spatial comfort, a luxurious ambience, even more superior drive technology as well as innovative suspension and driver assistant systems, the successor to the pioneer of the Sports Activity Vehicle again set new benchmarks within the broadened competitive environment of BMW X models. Moreover, the BMW X5 of the second generation was the brand’s first model that could be equipped with up to seven seats. Cutting-edge eight- and six-cylinder petrol engines as well as outstandingly economical six-cylinder diesel power units in conjunction with extensive BMW EfficientDynamics technology ensured that the BMW X5 was able to combine its extraordinary qualities with fuel consumption and emission levels that were unparalleled in this vehicle and performance class. The high appeal of the large SAV was attested by numerous awards for design, safety and quality. 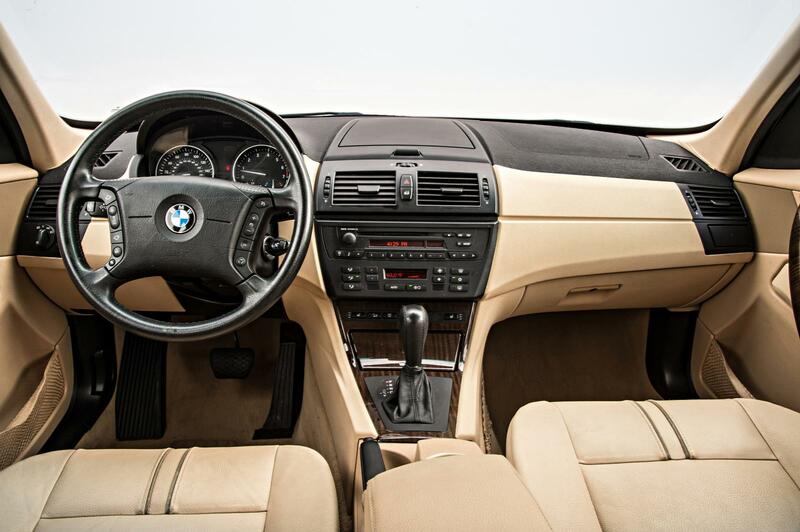 In 2007, the BMW X5 received the design award “autonis” presented by the trade magazine “auto motor und sport“ and a Gold Award in the J.D. Power North American customer satisfaction study. These were complemented in 2008 by a class victory in the “auto, motor und sport” readers’ poll “The Best Cars”. In 2007 and 2008, the US-American Insurance Institute for Highway Safety (IIHS) voted the car “Top Safety Pick” for outstanding crash test behaviour. 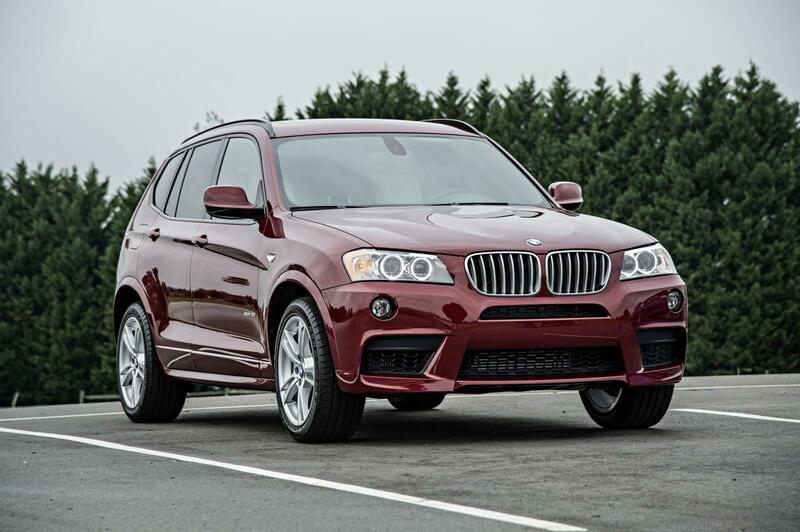 Furthermore, exceptionally high value retention became a trademark of the BMW X5. As a result, the German trade magazine “Auto Bild” voted it “Value Champion of the Year” both in 2007 and 2008. With almost 730,000 units sold worldwide, the second generation of the BMW X5 was again able to clearly outperform its predecessor’s success. 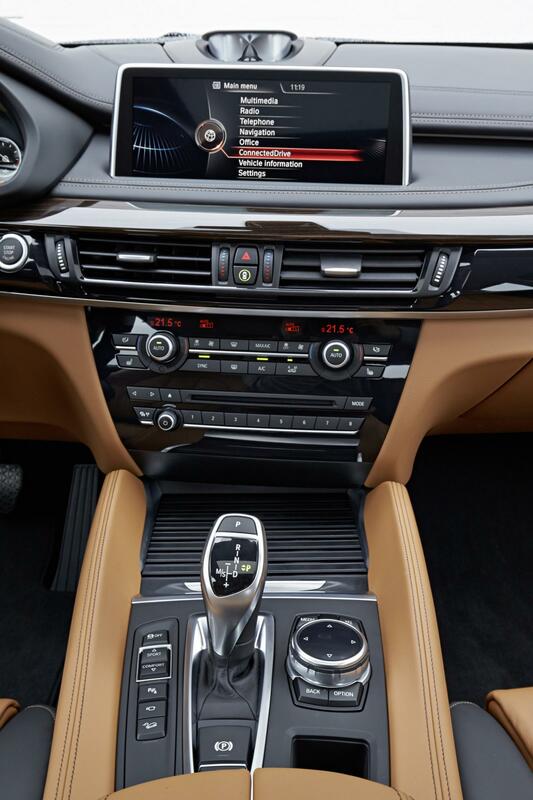 Innovative concept for even greater driving pleasure: The Sports Activity Coupe BMW X6. The successful establishment of the Sports Activity Vehicle concept in two vehicle segments was followed by further innovations with which BMW was able to further strengthen its unique position within the competitive environment of four-wheel drive vehicles. In the spring of 2008, BMW presented the world’s first Sports Activity Coupe. 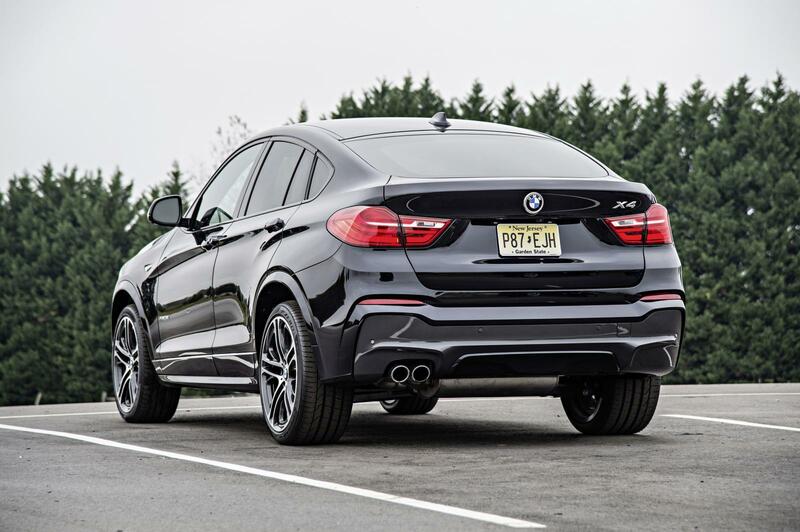 The BMW X6, which from that time on was produced together with the BMW X5 at the BMW Spartanburg plant, underscored the handling dynamics that are typical of BMW X models in a particularly intensive way. Its design combined sporting elegance with a powerful presence. 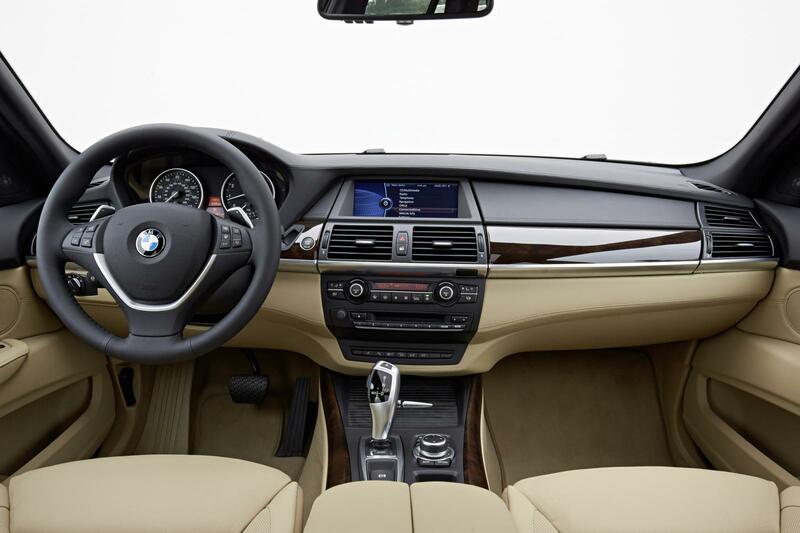 For an even sportier driving experience, the permanent four-wheel xDrive technology featured on this model was complemented for the first time by Dynamic Performance Control, additionally facilitating variable power distribution between the right and left rear wheels. 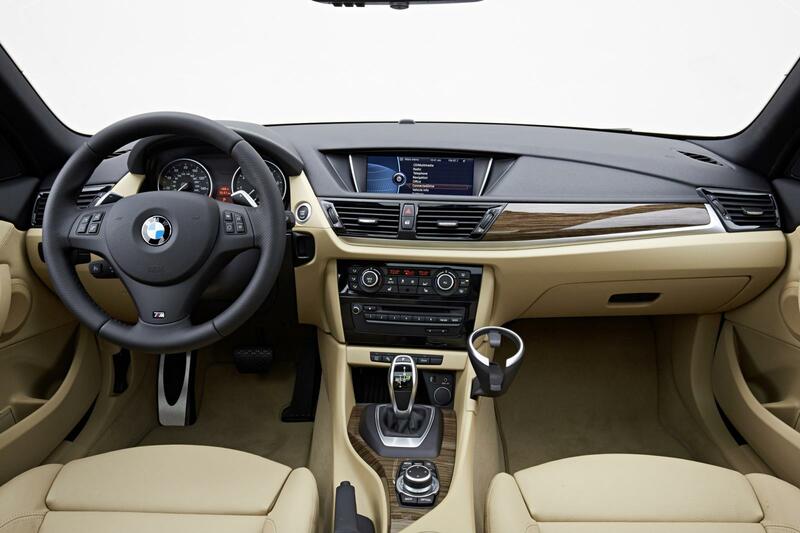 The first Sports Activity Coupe also assumed a pioneering role in the field of innovative BMW ActiveHybrid Technology. 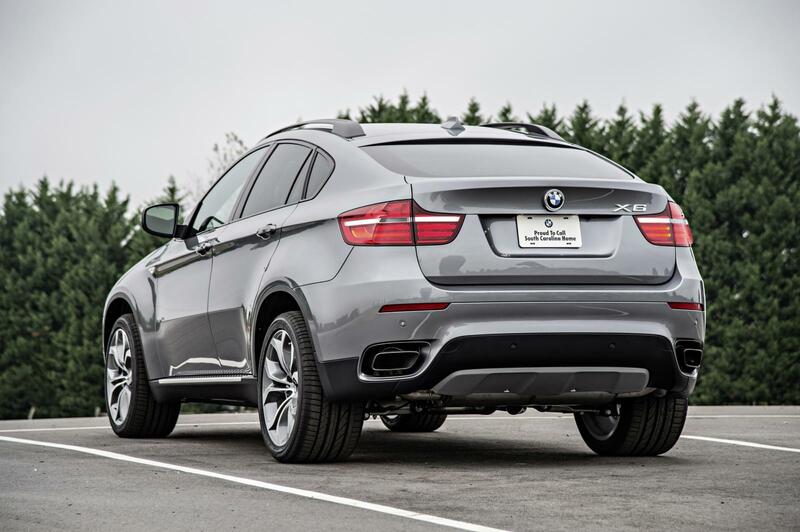 In the case of the BMW ActiveHybrid X6 presented in 2009, superior drive power was generated by an eight-cylinder petrol engine and two electric motors and transferred via the four-wheel drive system BMW xDrive to the front and rear axles as required. 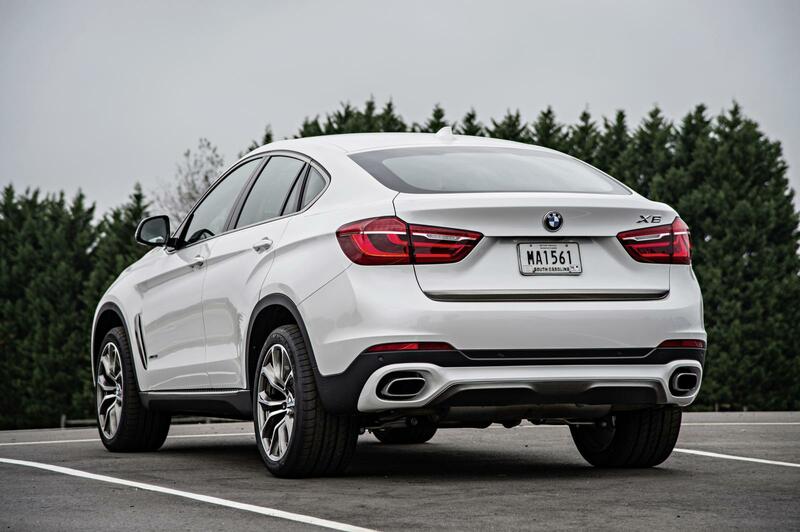 With a system output of 357 kW/485 hp, the BMW ActiveHybrid X6 was at market launch the world’s most powerful series production model featuring hybrid drive. Moreover, in the same year of 2009, two remarkable models were added to the range of high performance sports cars from BMW M GmbH. Inspired by the dynamic potential of BMW X models, developers showcased for the first time on four-wheel drive models the high-performance character associated with the letter M. A V8 power unit specially developed for the two exceptional athletes and featuring M TwinPower Turbo technology and an output of 408 kW/555 hp as well as an M-specific xDrive system including Dynamic Performance Control, formed the basis for an unmatched driving experience in BMW X5 M and BMW X6 M models. 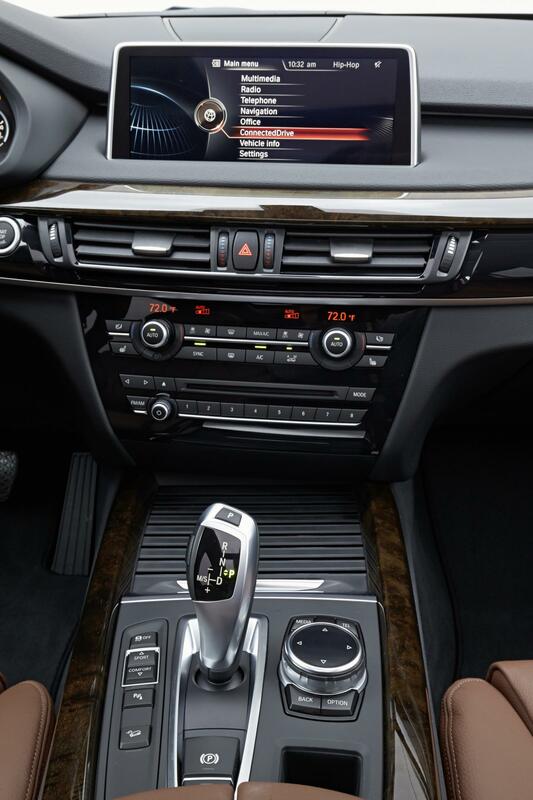 The BMW X1: Role model for multi-faceted driving pleasure in the premium compact segment. 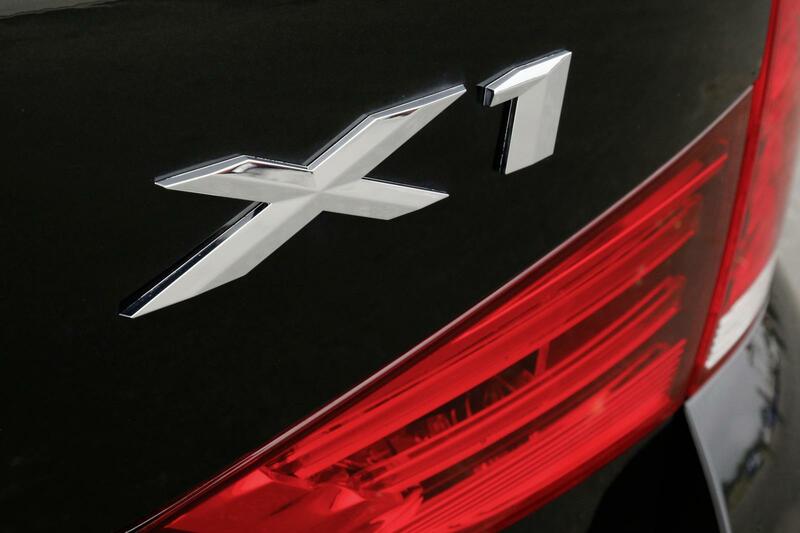 Since 2009, the driving pleasure typical of BMW X models can also be experienced in the compact segment. 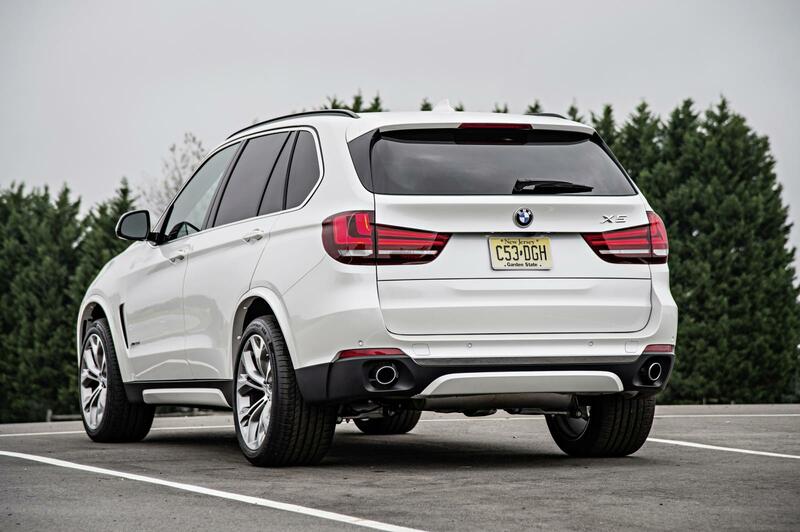 Thanks to the versatility, sportiness, high degree of agility and cutting-edge functionality of the BMW X1, it was possible to venture yet again into a whole new vehicle class. The compact BMW X model became the forerunner of this segment and a success all over the world, with more than 300,000 units being sold within two and a half years. The BMW X1 is produced at the BMW Leipzig plant. In addition, this model is now also built in collaboration with joint venture partner, Brilliance China Automotive Holdings Ltd., at the Shenyang plant. 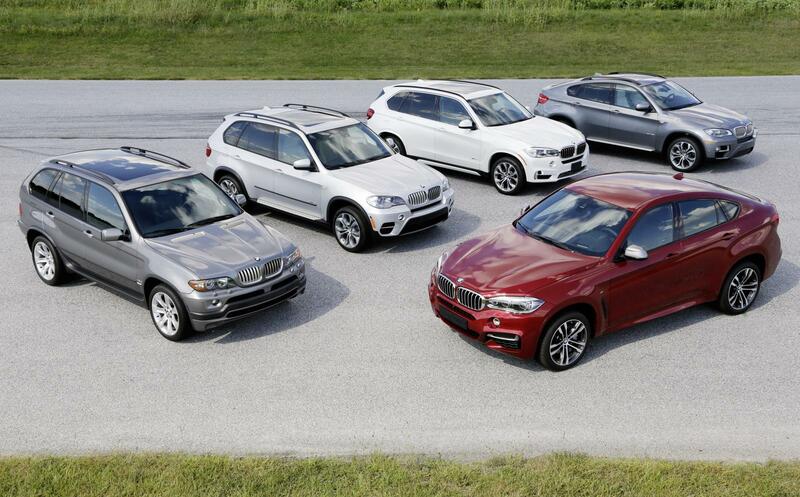 A total of more than 640,000 BMW X1 models have now been sold worldwide. 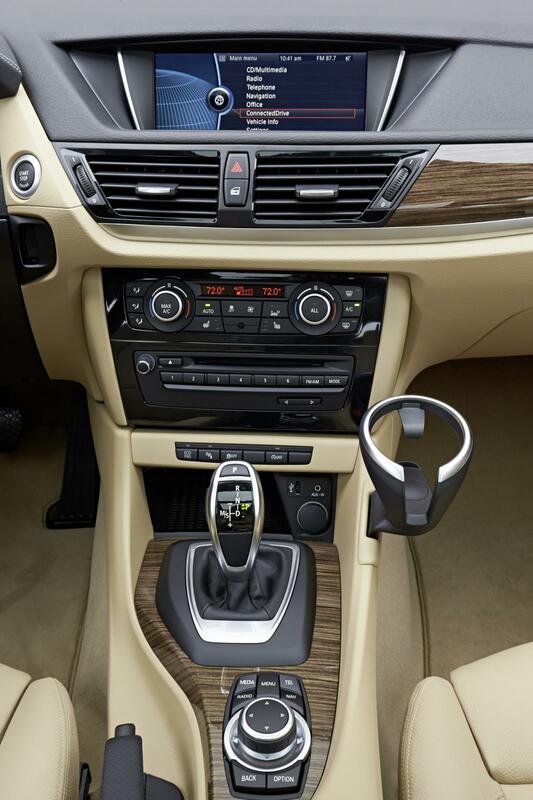 With five full-size seats and a 40 : 20 : 40 split-folding rear seatback as standard, the BMW X1 offers a generous and variably utilisable interior spatial concept. 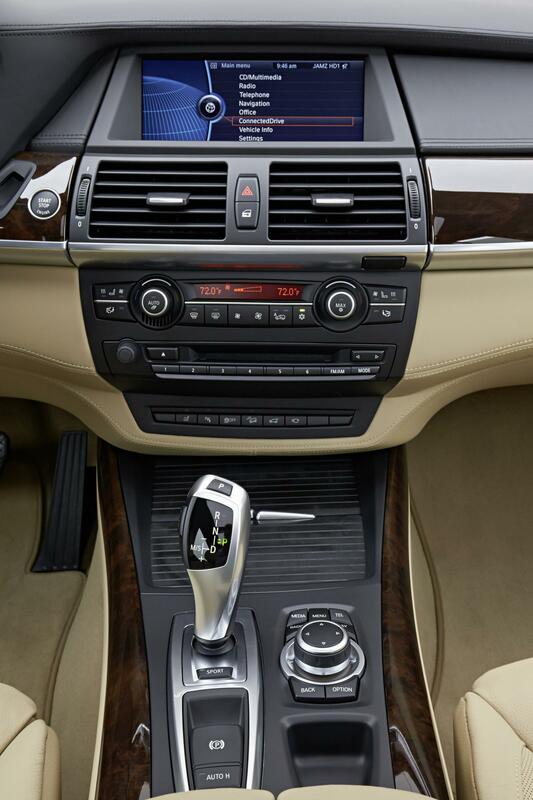 State-of-the-art engines with BMW TwinPower Turbo technology guarantee agility and efficiency. Depending on the engine variant, the BMW X1 can be equipped either with the intelligent four-wheel drive system xDrive or also with brand-typical rear-wheel drive. 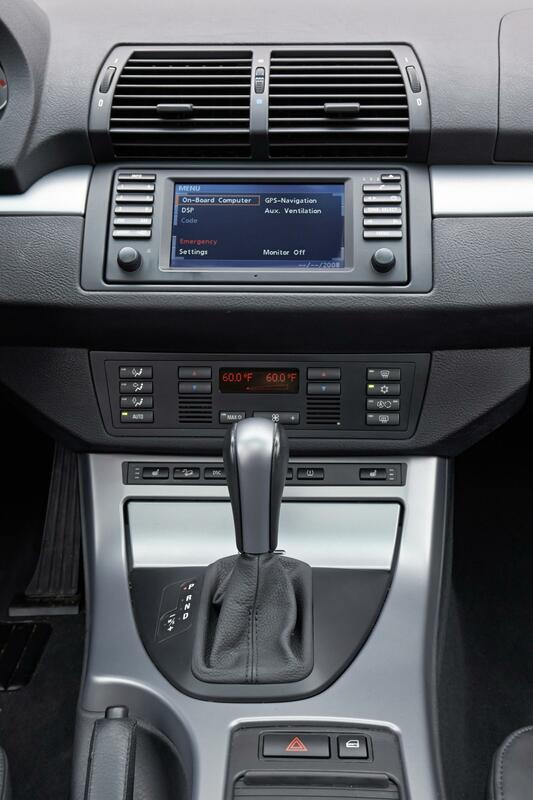 The 8-speed Steptronic transmission, which is unique in this vehicle class, is also available as an option. The high level of safety provided by the BMW X1 has been verified, inter alia, by the 5-star top rating in the Euro NCAP crash test. The BMW X1 has been presented with the “red dot award”, the “Auto Bild Design Award” and the “Design Trophy” awarded by the “Auto Zeitung” for its expressive styling. Furthermore, it is one of the most stable models in its class in terms of value retention. In 2010, it was bestowed with the “Value Champion” title awarded by “Auto Bild”. 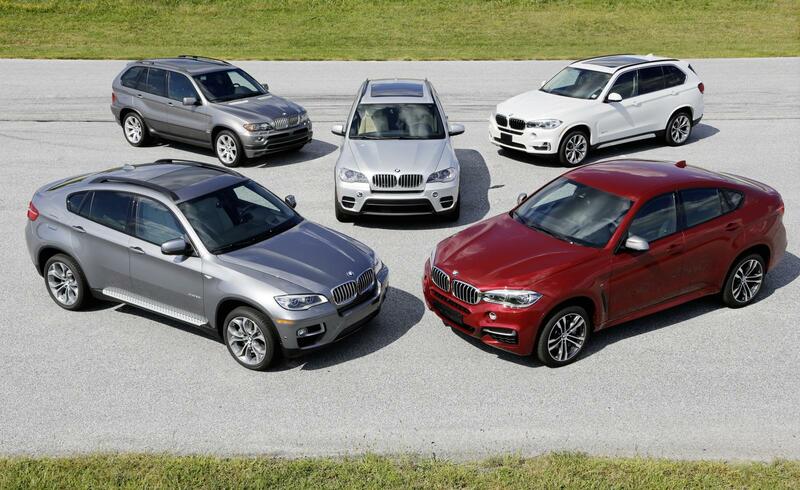 Constant advancement: Next generation of the BMW X3, fresh impetus from the BMW X4. Substantial advancements in all aspects relevant to unmistakable driving pleasure characterised the launch of the new BMW X3 in 2010. The second generation of the mid-range SAV model offers not only enhanced sportiness and efficiency, but also significantly more room and comfort as well as optimised functionality and innovative equipment features. The new BMW X3 also received the top 5-star rating in the Euro NCAP crash test, was able to secure numerous accolades for its design and in public surveys and was included in the list of “value champions”. 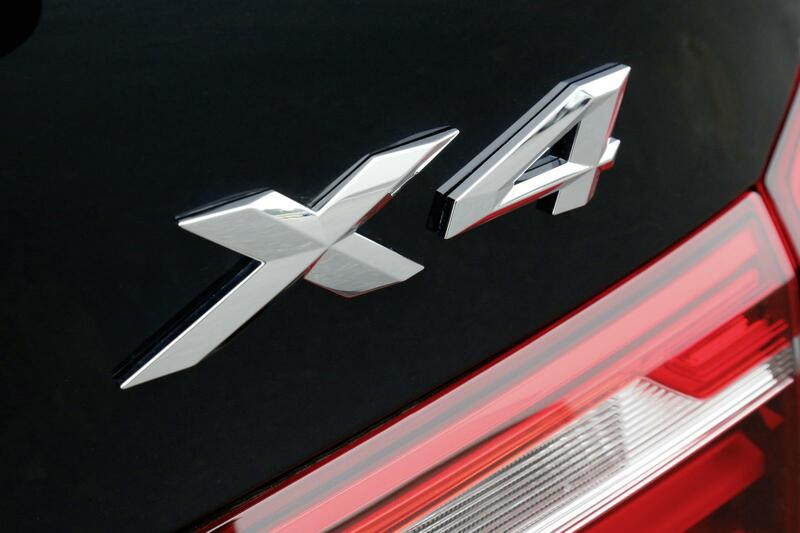 The current engine range comprises three petrol and four diesel engines. Two model variants are available with rear-wheel drive, with BMW xDrive additionally ensuring on-demand power transmission. Furthermore, BMW sets new impulses in the premium mid-range class with the first Sports Activity Coupe in this vehicle segment. 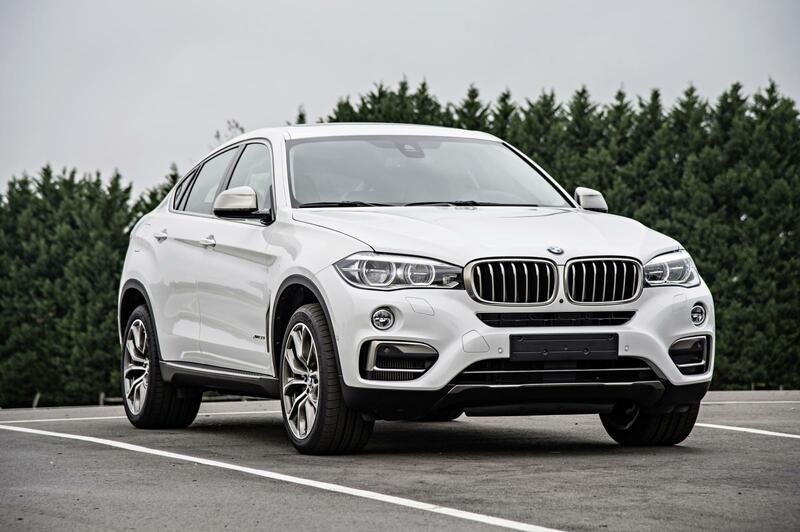 The BMW X4 launched in 2014 combines the typical characteristics of a BMW X model with the sportingly elegant contours of a coupe of the brand. This model combines driving pleasure, sophistication and modern functionality in an inimitable way. 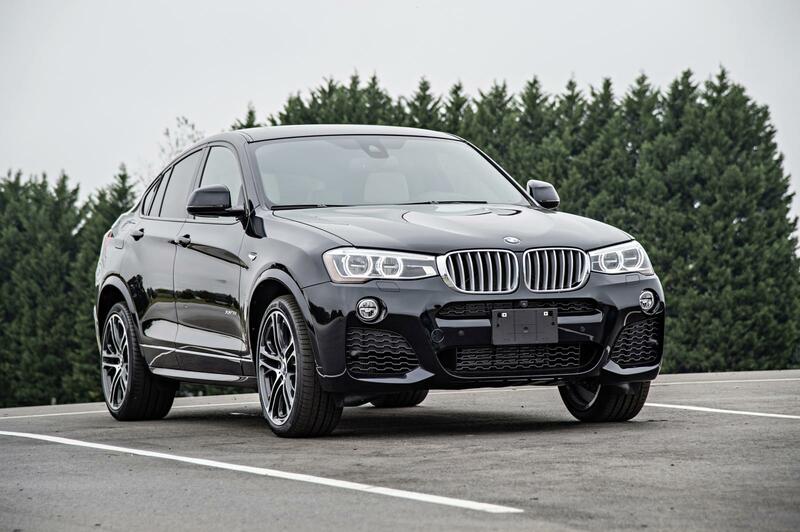 The BMW X4 is offered with a choice of six engine variants and equipped as standard with BMW xDrive. 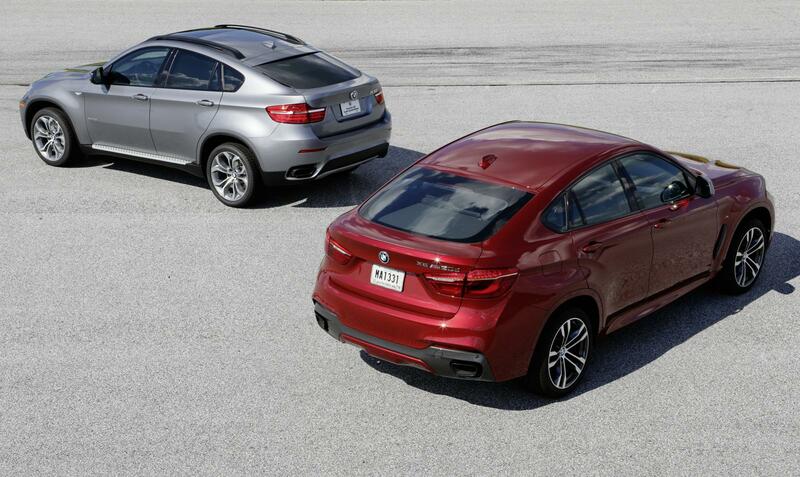 In top form at the peak of the segment: The new BMW X5 and the new BMW X6. 15 years after the premiere of the first edition, the BMW X5 is already continuing the success story of the Sports Activity Vehicle in its third generation. 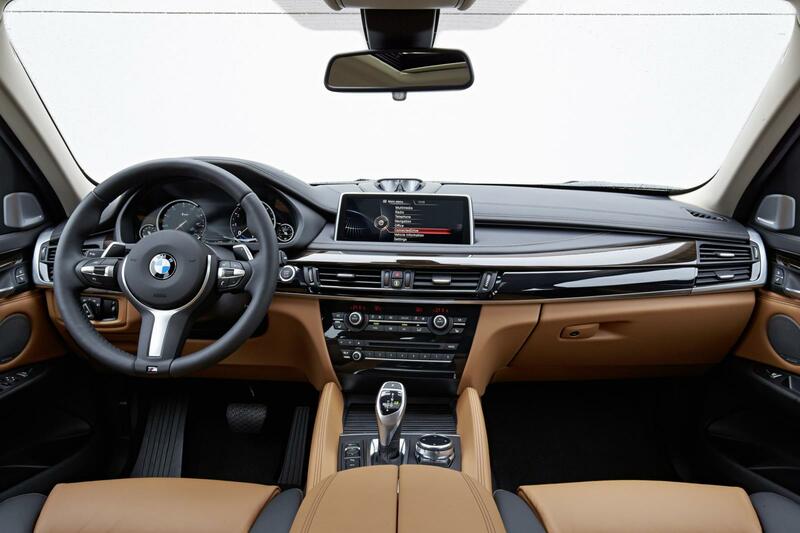 The new model is once again the benchmark of driving pleasure, efficiency, powerful design, versatility and luxury within the segment once established by BMW. The latest edition of the SAV is optionally available with seven seats. 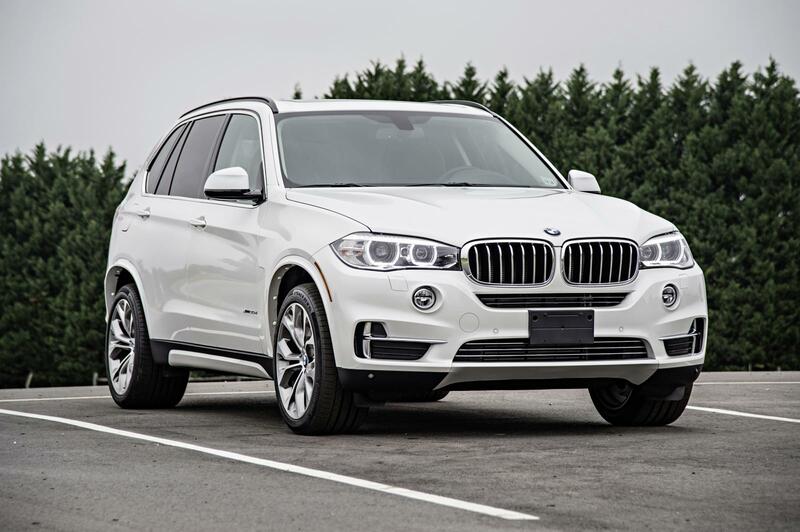 With the BMW X5 sDrive25d, a particularly efficient model variant featuring rear-wheel drive is being offered for the first time. Straight away, the new BMW X5 was winner of the “Goldene Lenkrad” awarded by “Auto Bild” and “Bild am Sonntag”, repeating the success already achieved by the first generation in 2001. 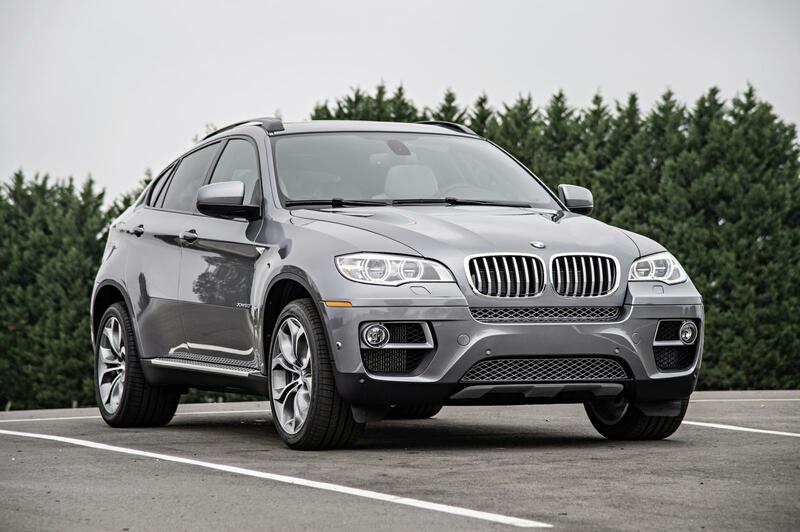 The latest edition to the family of BMW X models is the new BMW X6. The second generation of the Sports Activity Coupe presents itself with increased design presence and enhanced sportiness as well as with a luxurious interior ambience and innovative equipment features. 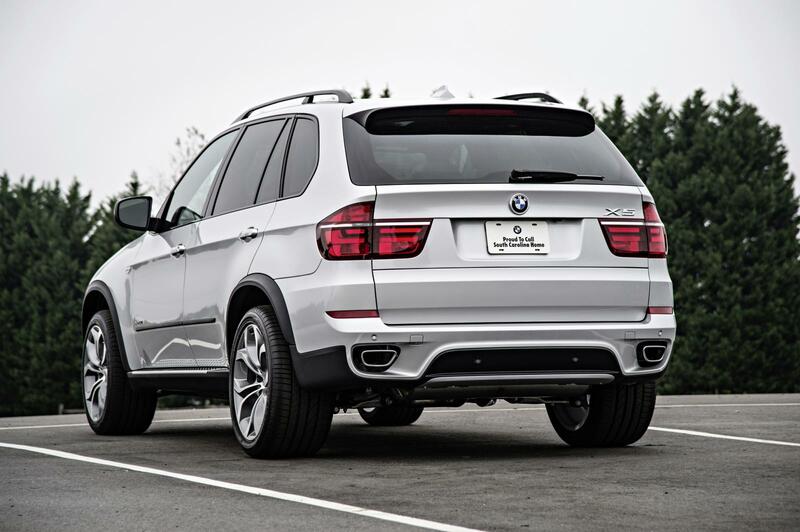 Optionally available adaptive suspension packages ensure – as with the BMW X5 – sportiness and made-to-measure comfort. 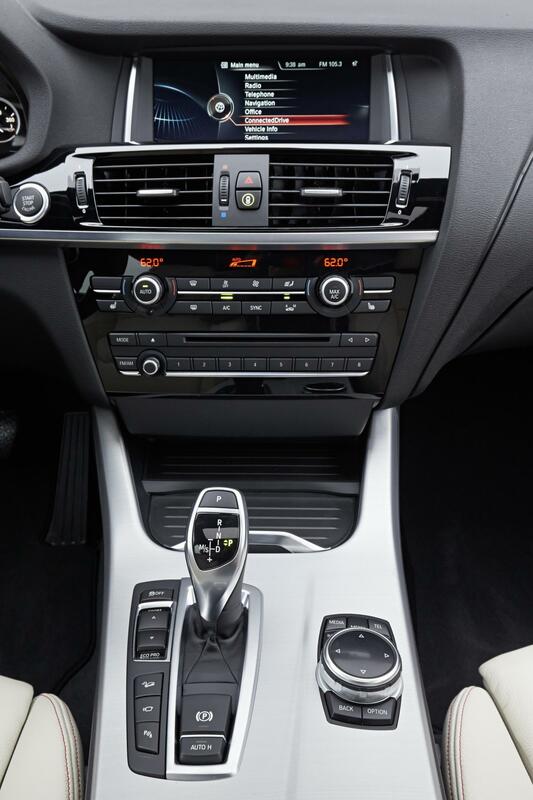 Like the standard equipment options, the range of driver assistant systems and mobility services from BMW ConnectedDrive has been significantly extended.